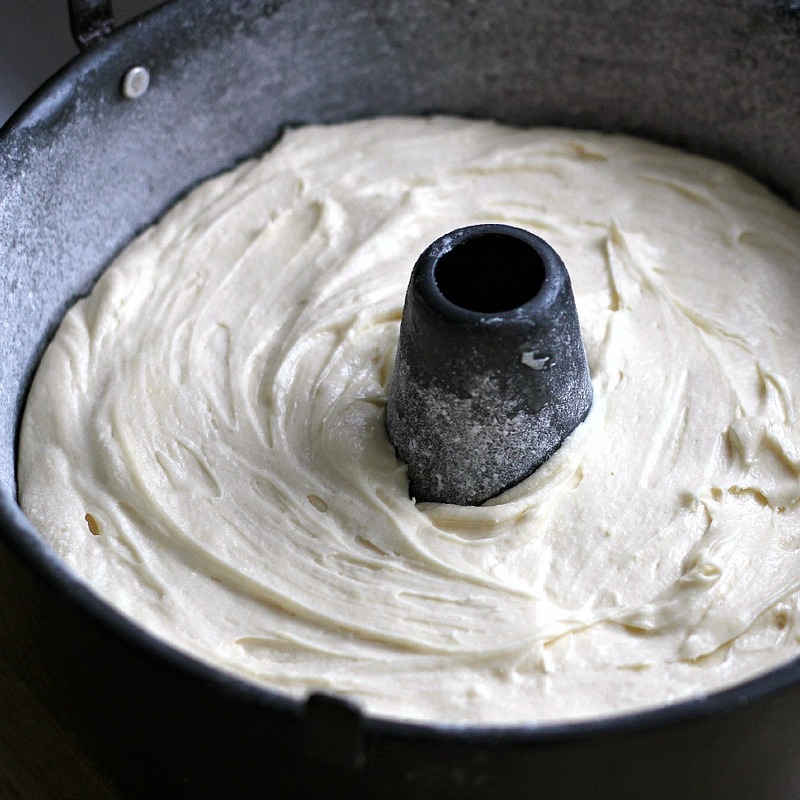 In less than 20 minutes you can have this moist and dense pound cake ready to go into the oven. 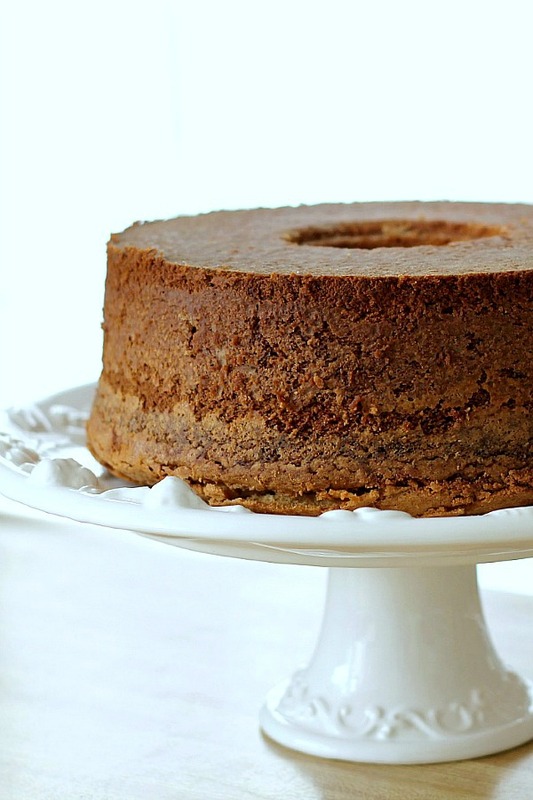 Perhaps it is the low and long baking time, or the addition of cream cheese that keeps this Cream Cheese Pound Cake from being dry. I have made it numerous times and have never had a problem. It is full of flavor by itself but if you prefer to dress it up, you can add a snowy white glaze and top with sliced strawberries. 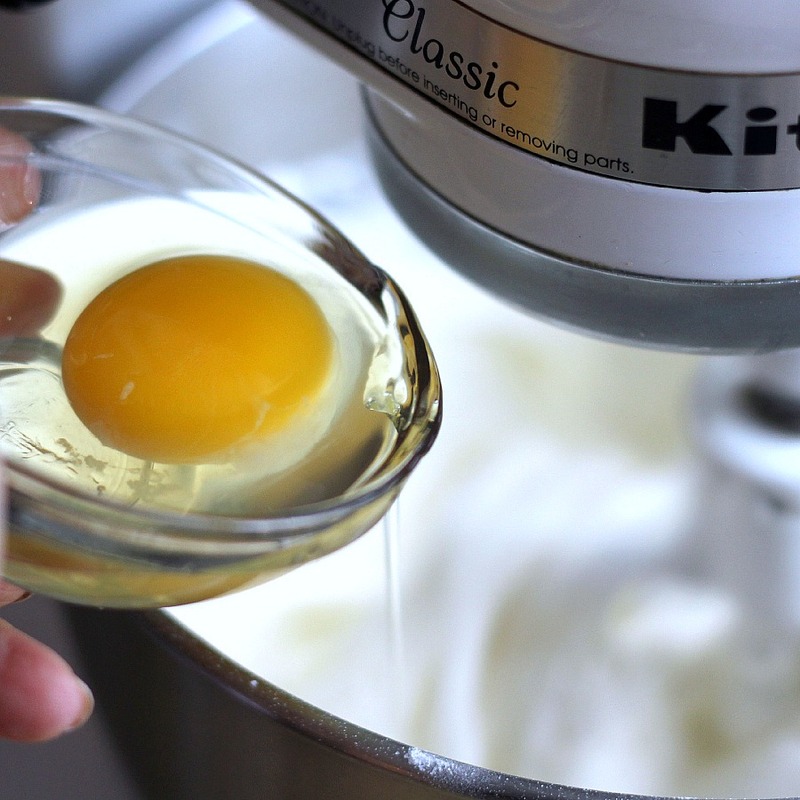 When baking a cake it is best to allow the ingredients to come to room temperature. Grease and flour a 10-inch tube pan well. 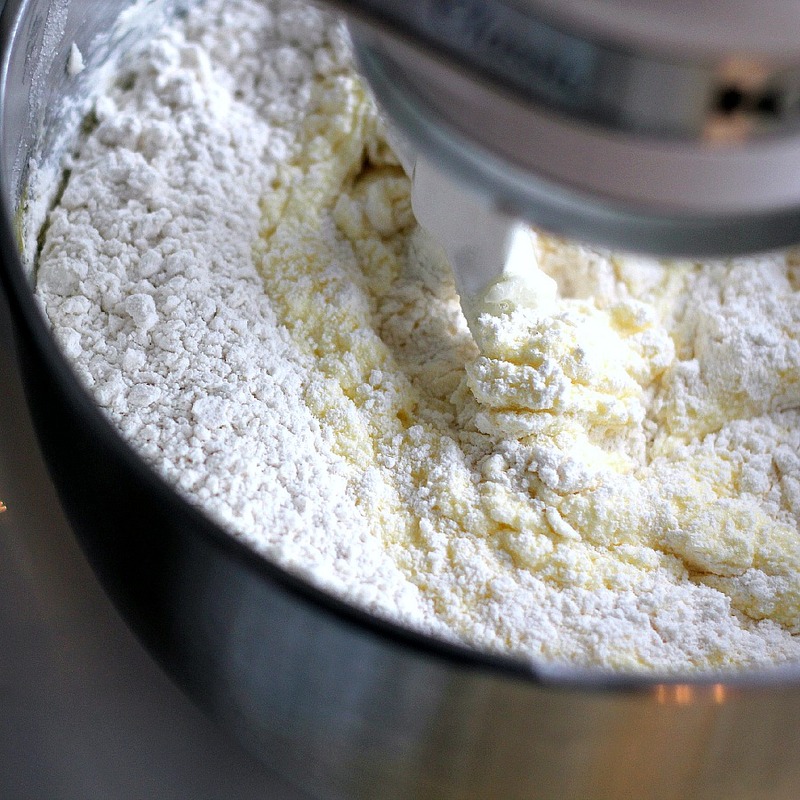 Combine flour and salt; gradually add to butter mixture, beating at low speed just until blended. 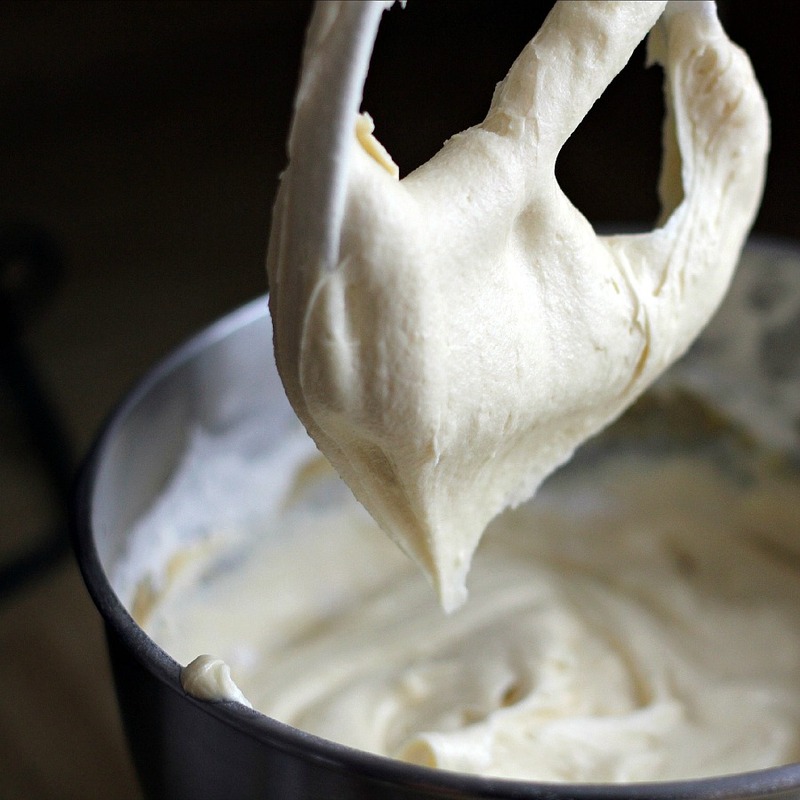 Spoon batter into a greased and floured 10-inch tube pan. Bake at 300 degrees for 1 hour and 45 minutes or until a long wooden pick inserted in center comes out clean. 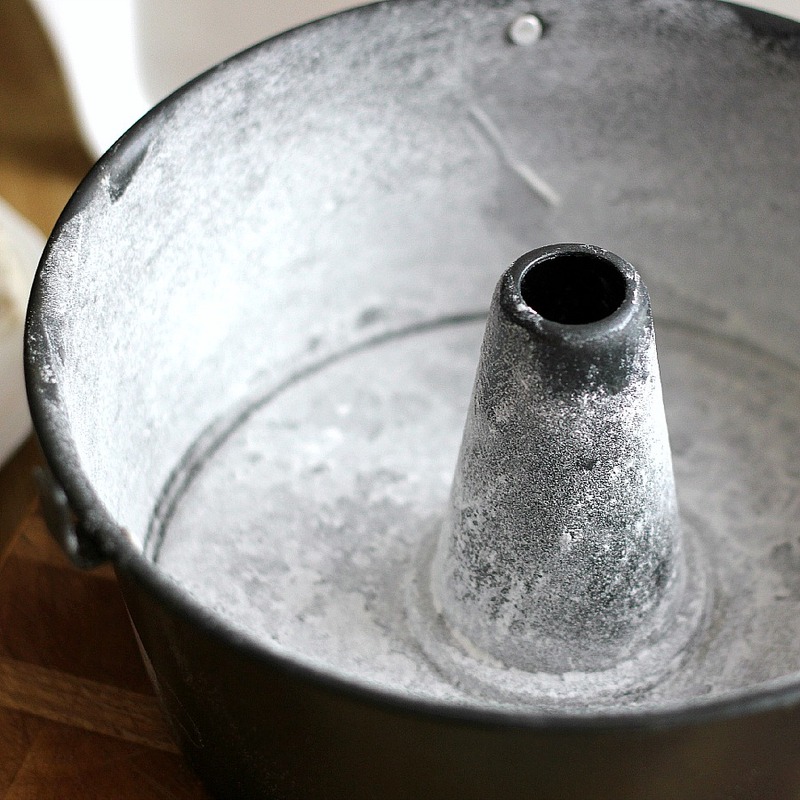 Remove cake from the oven and cool in pan on a wire rack 15 minutes; remove from pan, and let cook completely on wire rack. Bake at 300 degrees for 1 hour and 45 minutes or until a long wooden pick inserted in center comes out clean. Cool in pan on a wire rack 15 minutes; remove from pan, and let cook completely on wire rack. 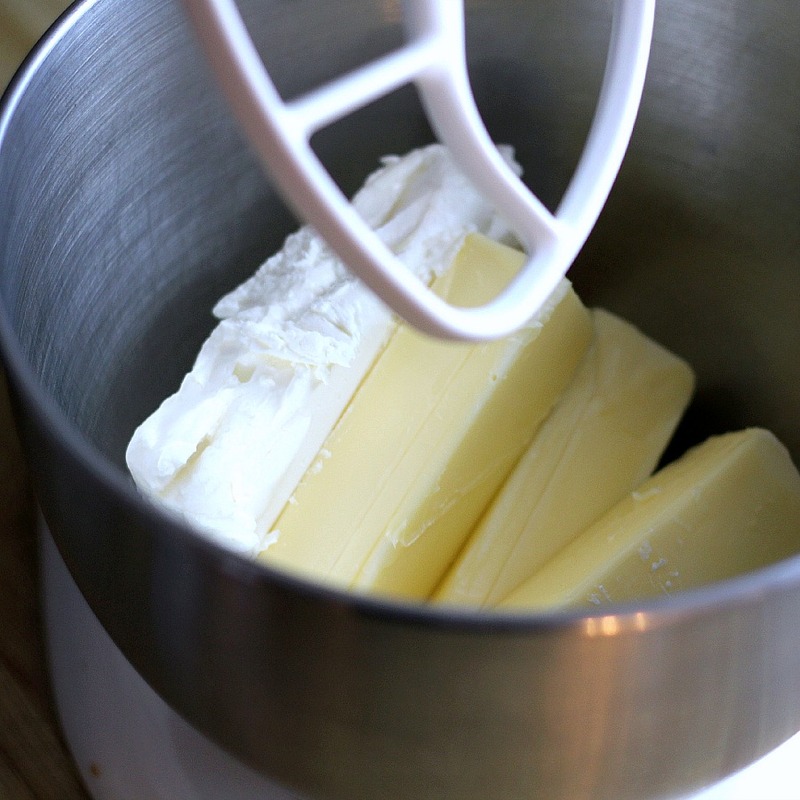 Stir together to make a thick glaze that won’t drip all the way down the sides of the cake. Stir in an additional Tbs. or two of milk if you’d like a thinner glaze. NOTE: This makes much more frosting than I used on my cake. You could half the recipe, if desired. For a lovely gift-giving idea, make mini loaves, wrap in cellophane treat bags, tie closed and add a pretty tag. 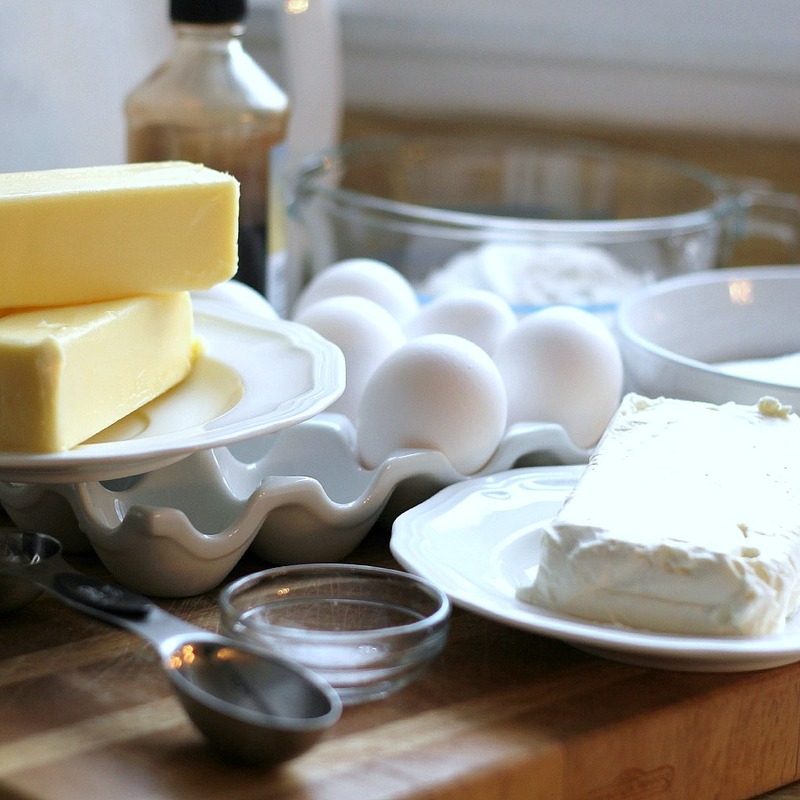 Instead of using a tube pan, divide the cake batter among seven greased and floured (5 3/4×3 1/4-inch) mini loaf pans or use disposable foil pans. 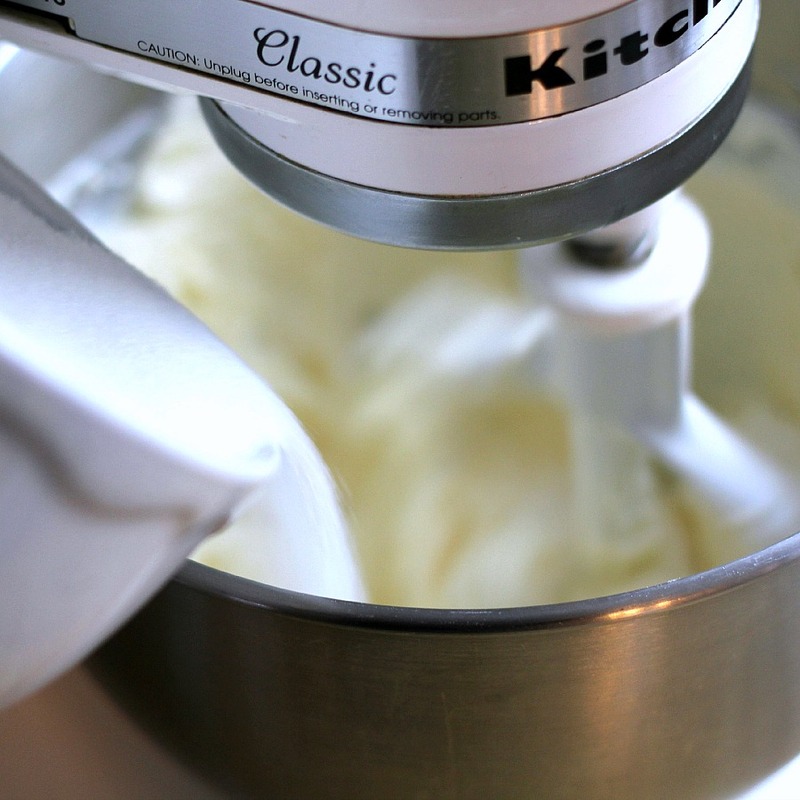 Bake at 325 degrees for 40-50 minutes or until a wooden pick inserted in center of the cake comes out clean. 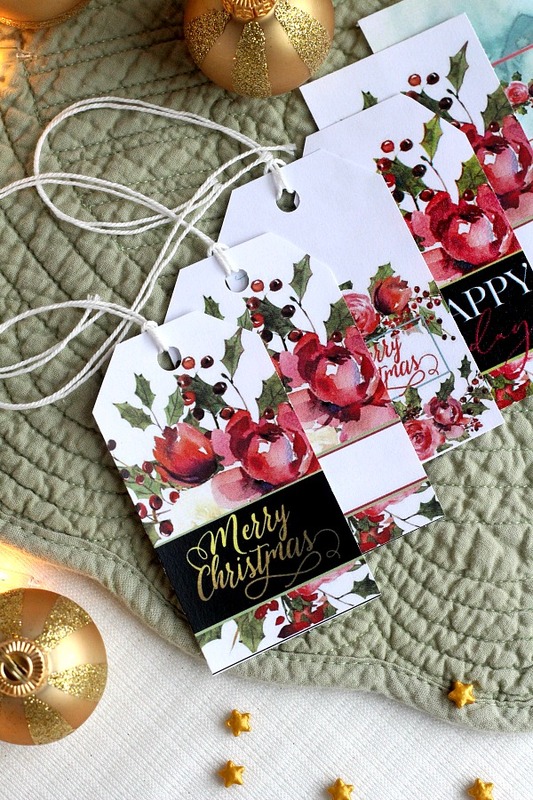 If you are planning to make either the cake or mini loaves to give as gifts, I have a FREE Holiday Gift Tags printable just perfect to make your homemade goodies look extra special. Click the link to get the download. Will a regular 10” pan work for this? I hope this is helpful! Please let me know if you try it. This looks so beautiful and yummy. 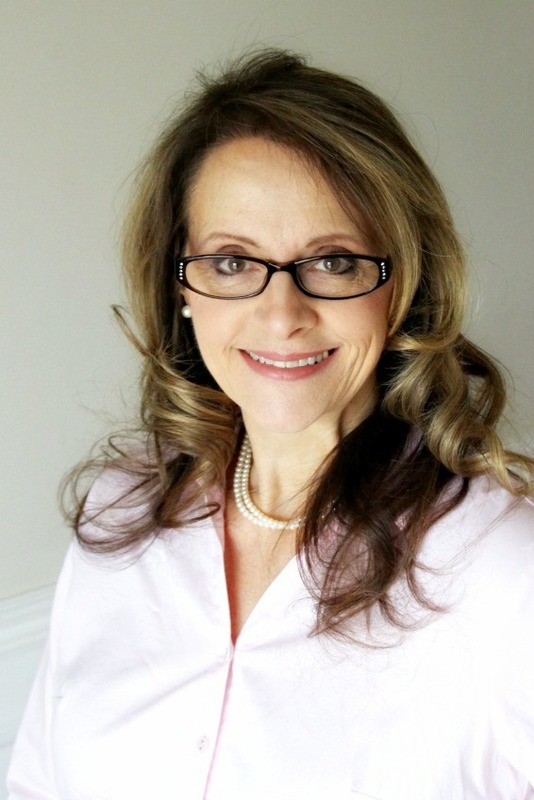 I am your newest follower – I plan to come back and look at some of the other recipes. thanks for sharing! I do love me some pound cake! This is beautiful! This is the most beautiful, delicious looking cake! 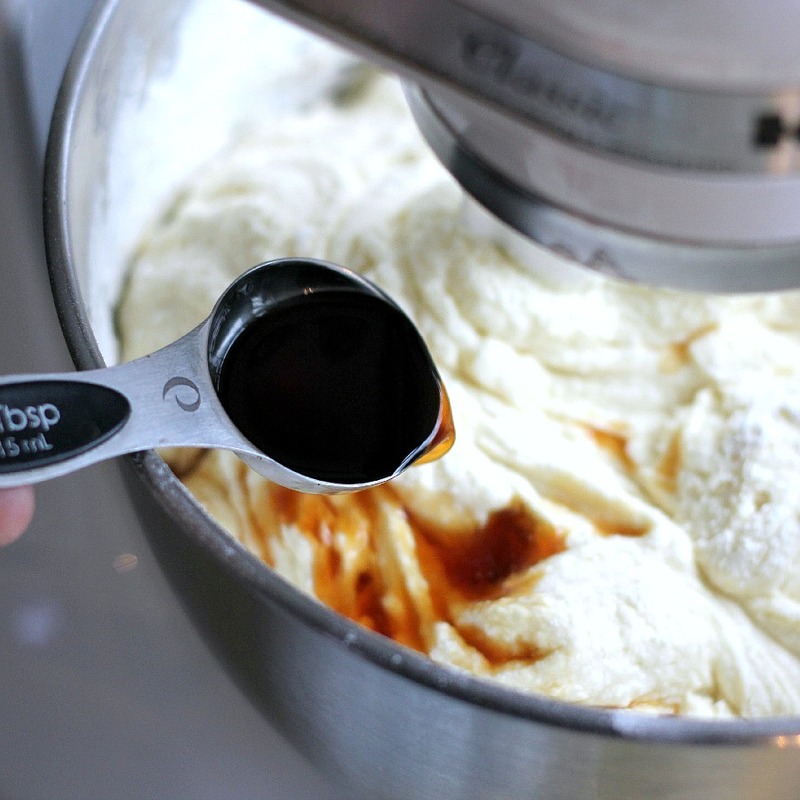 I am so thankful that you shared the recipe and the helpful gift giving tip. Can't wait to make it. Oh my word that is beautiful! Okay.. I am not particularly a cake eater, but I am now nibbling on a small piece of cake I made from you recipe above. It is to die for! I didn't frost it. I plan to have a sliver for breakfast with coffee. Can't wait. This cake looks so pretty! Im a new follower, love your blog! It's in the oven! If it turns out as pretty as yours I'll take a picture of it. Oh dear.. I have everything to make this cake. I better go get everything out of the frig to get to room temp. Thanks for posting!! I made this last night for a church potluck. It was a huge hit! I made it Gluten free by using 2 cups white rice flour, 2/3 cup tapioca flour, and 1/3 cup, corn starch + 1 tsp xantham gum. it turned out fabulous! thanks for the great recipe! OH MY!! My mouth is watering!! Came over from Flamingo Toes Think Pink Sundays. 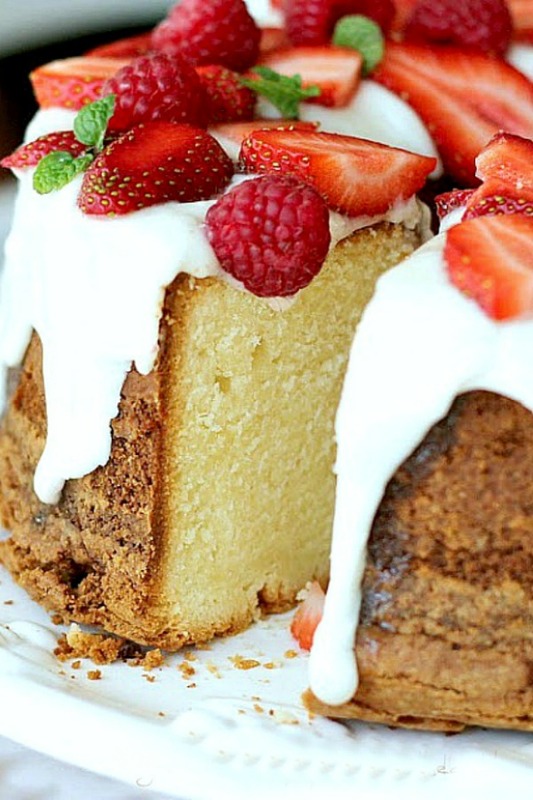 Pound cake is my favorite dessert, and this one looks delicious! Wish I had a slice with my coffee this morning. Your photos are gorgeous! The cake looks delicious, makes me want to make it. Thanks for sharing your recipe. I have the ingredients, will make one soon. mmmm….can't wait to try that recipe! Thanks for sharing. I love your photos…they are wonderful. So Yummy looking, I am so glad this beautiful cake isn't sitting in front of me because the whole thing would be in my mouth. I'll be making! Thanks for sharing your creative inspiration at Sunday's Best Par.tay! My gush just by the look it is screaming delish!! Oh I'd love to have a piece right now! Thank you for the recipe and the good directions. I'm snagging. oh my goodness, I certainly like a piece of that right now…what time is tea? Happy Sunday Lorraine! I should not have looked at your blog on a day I'm trying to eat better. Your cake looks mouthwatering! You truly do have some of the best food pictures I've seen online. No matter what you show including the "messed up" Danish in the last post, it always looks so good! Thanks for sharing your talents with us and for visiting my new Cozy Home Kitchen blog the other day. I love seeing you! Yum, yum, yum. Are you up for mailing this to me? It looks so delicious! I also love your photos, you are very talented. Just gorgeous. I'm stopping over from Sunday's Best Party and I'm your newest follower. I'd love for you to stop over and check out my blog, Adventures of Our Fami-Ly…we definitely have our faith in common! 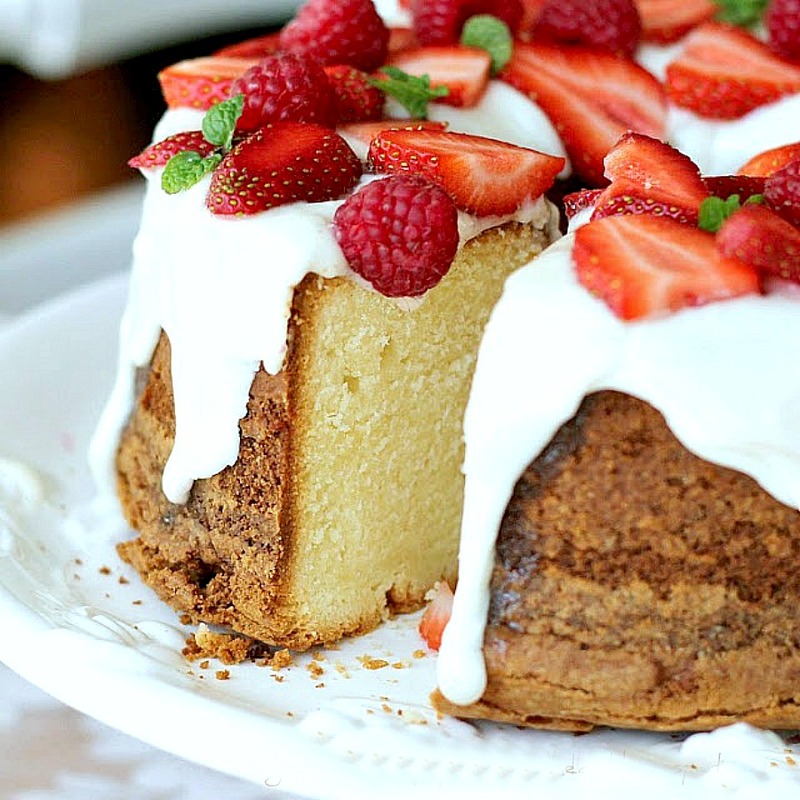 This looks absolutely divine…I could use a piece right about now! This looks like a keeper, LDH, I am copying it and when our fresh strawberries start bearing next moth, I will be making it. As always thank you for sharing. Hi Lorraine, your pics and cake looked to die for..WOW I could hop through the screen right now. Nice to hear you joined along with me. I have already signed on long ago to your site. Have a great day. Your photography is beautiful. The dessert sound terrific. I would love for you to share your talents at my weekly fri-monday anything goes linky. Your cake looks too pretty to eat! But I'd make an exception! Thank you for sharing your recipe!!! 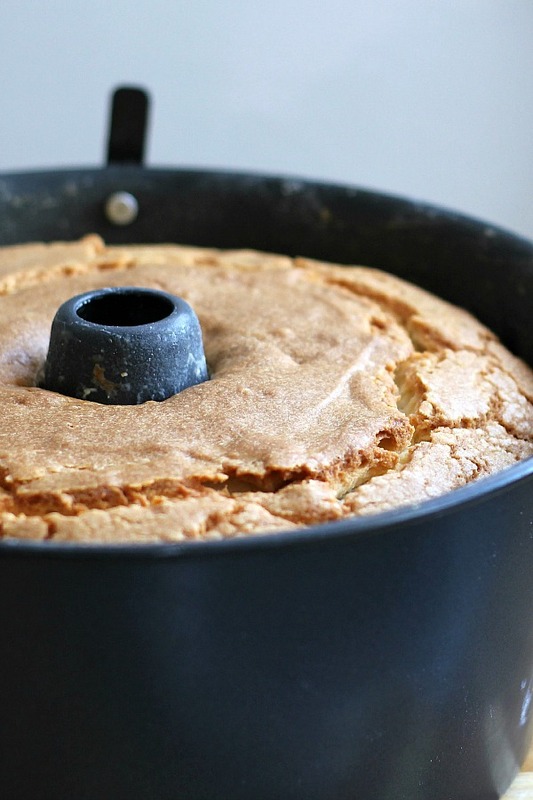 What an amazing pound cake! Love its smooth and light crumb. Gorgeous! And I can't leave without saying I think your "Lake Michigan" braided bread looks mighty tasty too. [not fishy tasting at all!!] –kidding. OMG What a BEAUTIFUL photo! Absolutely gorgeous and delicious! This looks like a great dessert for any time of year. It is a thing of such beauty! And I'm sure it tastes as good as it looks! OMgoodness! I haven't had any sugar since January 4th! That looks delicious. Pound cake is by far my favorite cake. Thanks for stopping by and leaving such a kind comment! Looks delicious, Lorraine! I'm going to have to try this. Thanks for sharing. This is not helpful at all to my efforts to be a little slimmer for the May wedding. Of course, I'm printing it as I type! Looks delish and it's not even chocolate! :~D The perfect way for me to use up some of those eggs my hens have been laying in abundance! This is SIMPLY FABULOUS!!!!!! I LOVE it and going to make it this week for sure!!! I thank you for dropping by and visiting me and i am now your newest follower! sending hugs and wishes for All the best!!! : ) see you soon! What a beautiful delicious cake! Looks amazing and is such an 'American' tradition. Love your glaze and fruit topping. I'm with Dayle. I think I can get chubbier just looking at the pictures. I'll be baking again with your inspiration. Hugs and good wishes, my friend. Oh goodness, what a luxurious cake! It's so pretty and yummy looking, pound cake my fav! Thanks for sharing. Enjoy your weekend. Stunning magazine ready photos~! You need to have your own cooking show/book/magazine… yep! I do believe I could smell aroma from my computer screen. 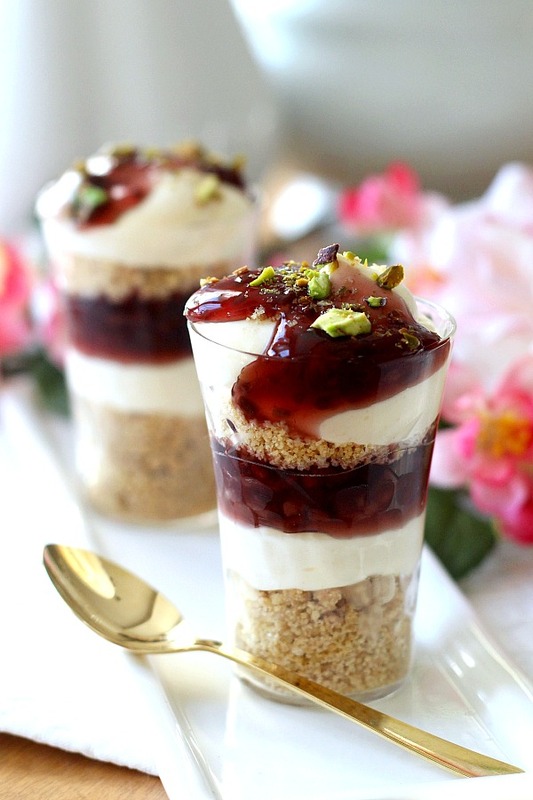 How do you stay so thin baking these awesome goodies? 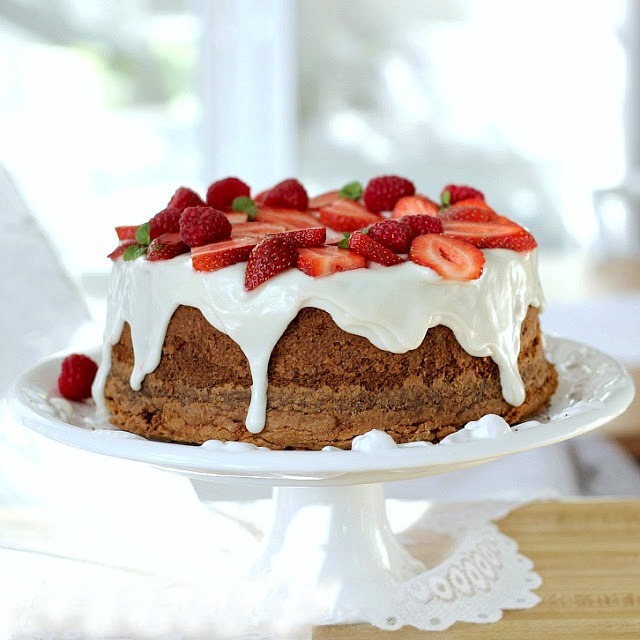 Such a beautiful cake; the texture is wonderful. 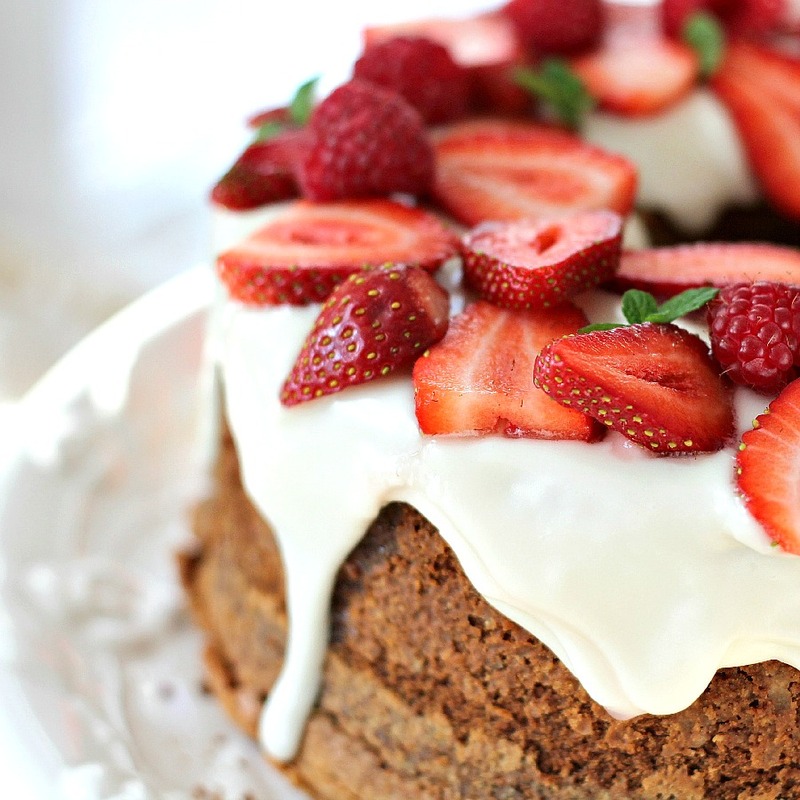 Our markets are full of strawberries from FL currently and they would be delicious with this cake. Hope you enjoy your weekend. Stunning! It's amazing you can make it in 30 minutes! Simply wonderful!